Hello and Happy Tuesday, I hope you are having a wonderful and it's lovely out. It sure is here, a bit colder than I'd like but warmer than yesterday so we will just be happy with that! 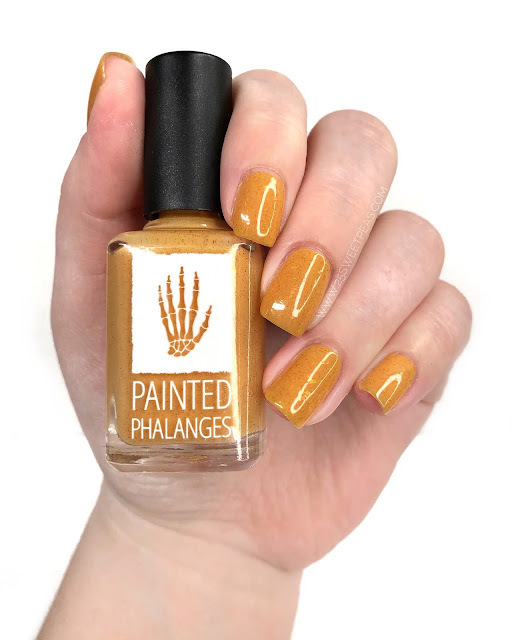 Today I have a new collection to show you from Painted Phalanges, ahh I just love this brands name, makes me smile every time. 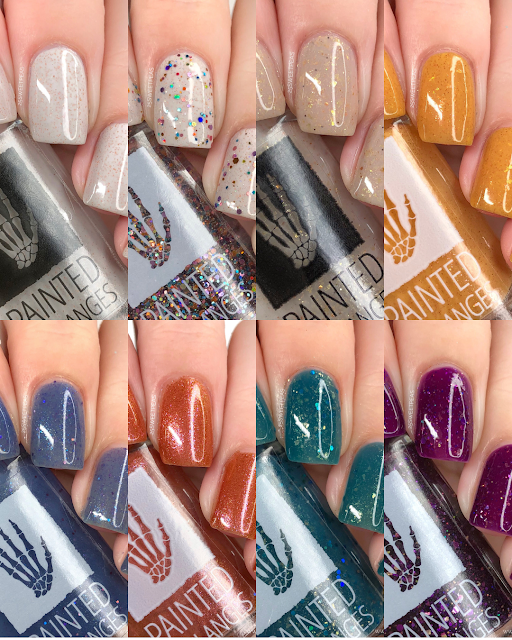 Anywhooo this collection is releasing tomorrow so lets get right into all of the swatches because there are a total of 8 new polishes plus another item I want to chat about from them that already released so lets go! 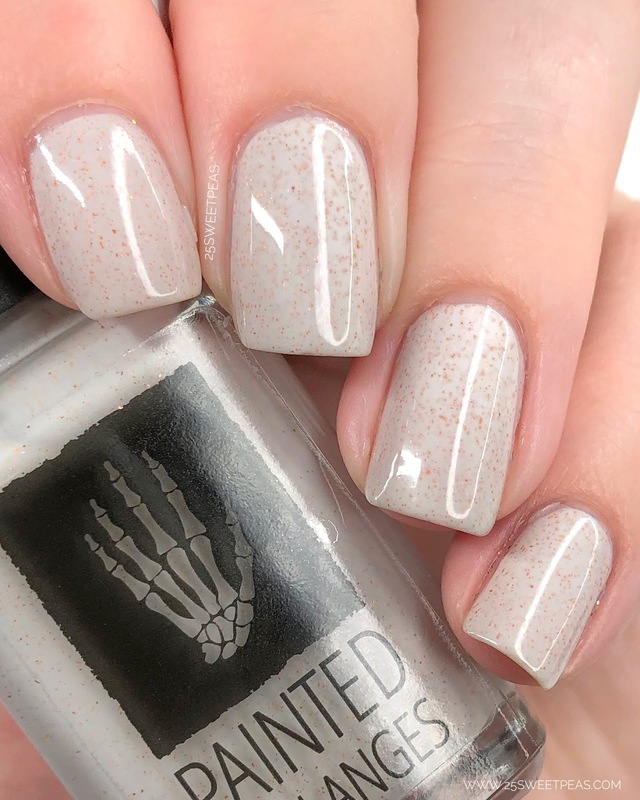 A light taupe base with a shifty shimmer in it that shifts from gold/orange/pink. Ok first and foremost I love the name of this polish, well all of the polishes to be exact, they are just fun and tropical and well ya know me! :) This one is a really nice off white. Usually these sorts of shades don't work on me but this one did actually really well. The formula was really nice and applied in 2-3 coats, and I say that because I have worn it 2 times and one time it was perfect in 3, and then perfect in 2 the next. So it can vary a bit. A mix of different sizes of pink, orange, copper, blue, purple, and gold glitter with some silver holographic micro glitter. 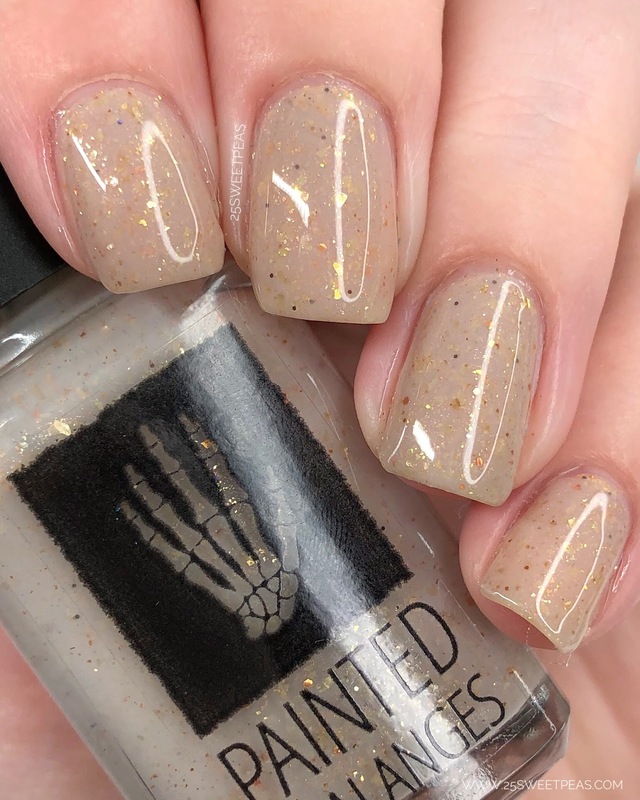 In LOVE with this topper! I mean just look at it! I paired it on top of Island in the Sun and I just love it. 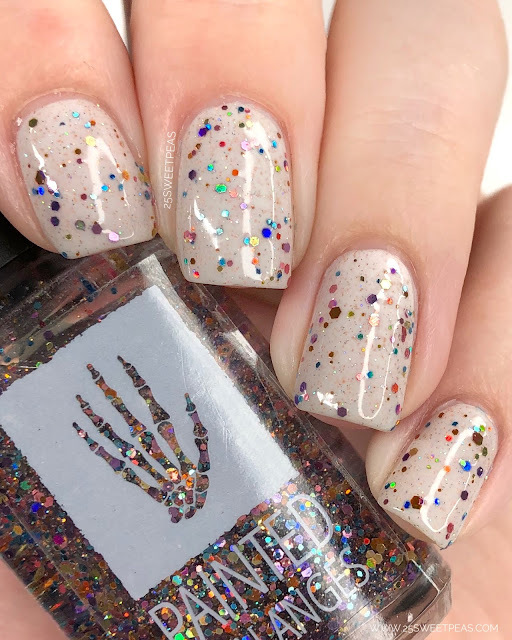 It has a rainbow of colors, and a nice way of setting on the nail that I actually really liked in one coat. 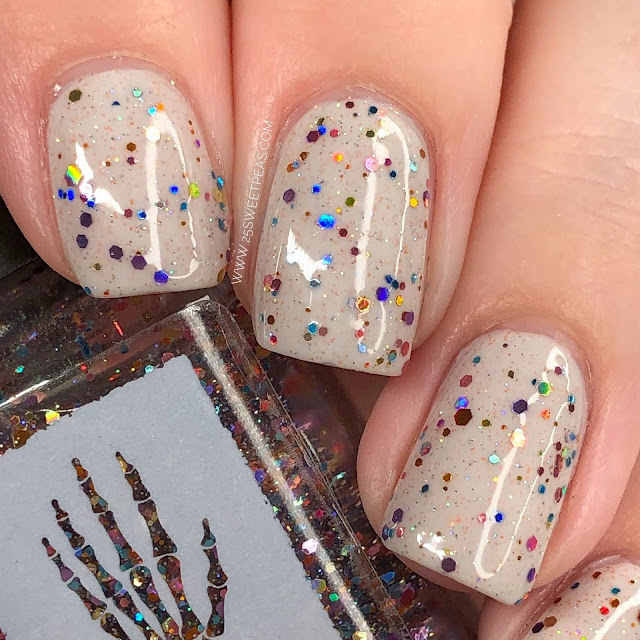 Granted of course you could pack it on and get more coverage but I love the pops of colors it gives in this more even/mediumly sparse coverage. A tan jelly with golden flakies, bronze and copper glitter, gold micro glitter, copper holo glitter, bronze and taupe micro flakies, and a golden sunshine shimmer. 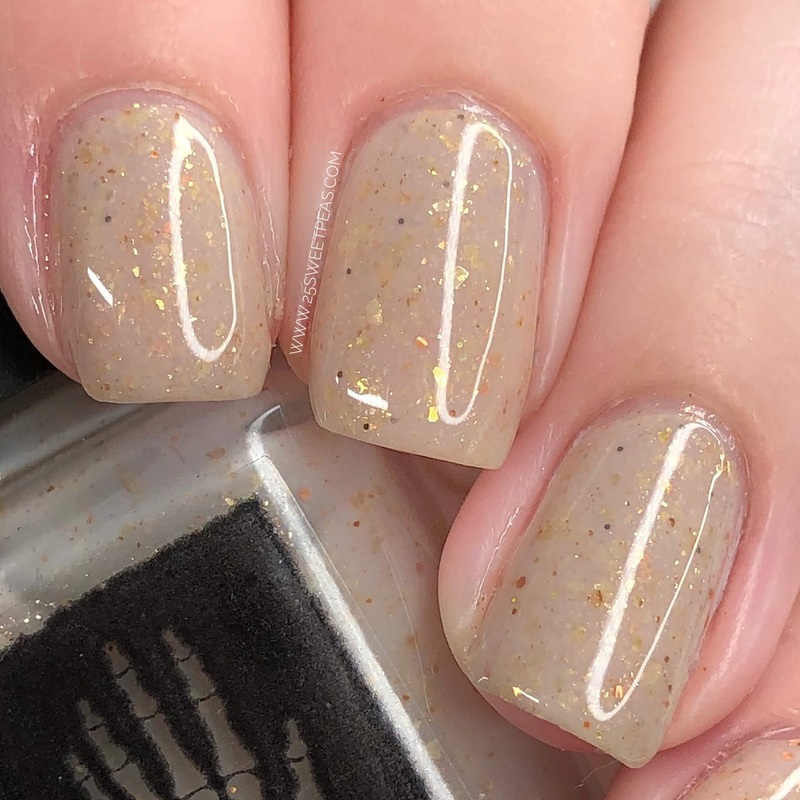 A sandy jelly, with golden sparkles to represent the sun hitting the sand! LOVE it, and yes I'm dying to do some Beachy art with it. 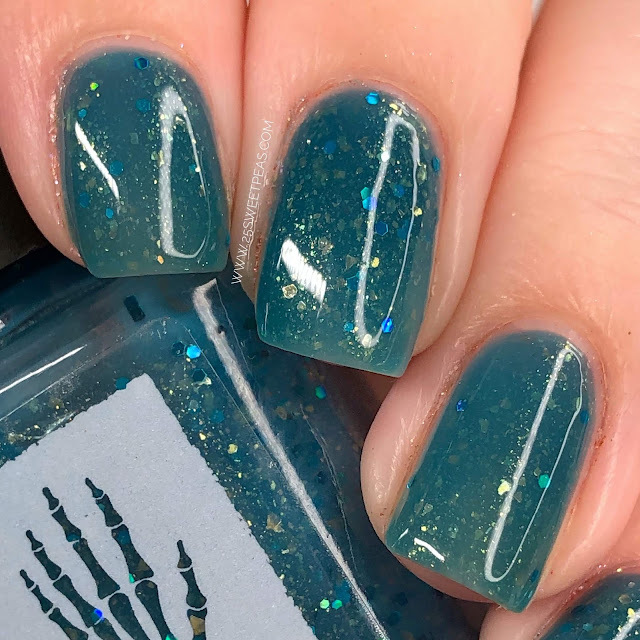 This is a jelly tho so it takes a bit to build up to full coverage. 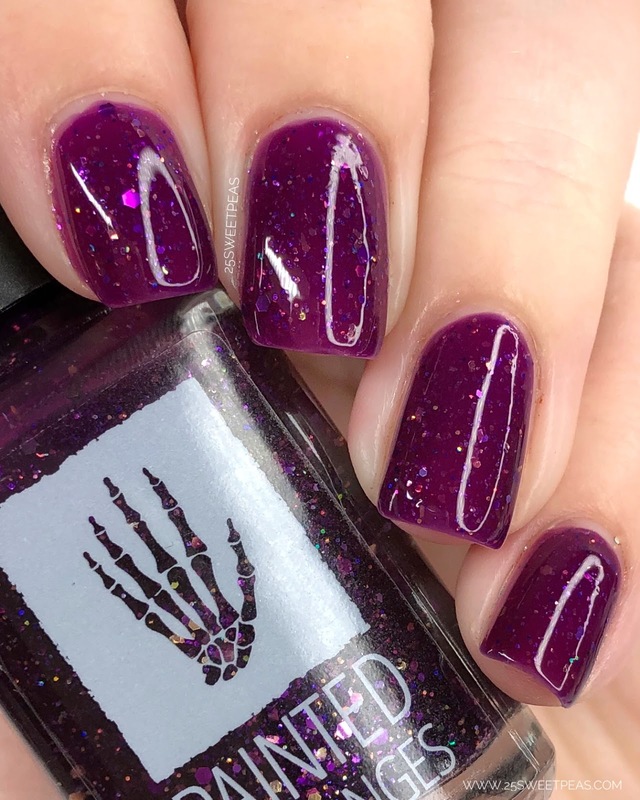 I needed 3 coats, and that was perfect for me. The nicely shaped brush similar to the Moon Shine Mani Brush if you are familiar with that, makes application a breeze. A creamsicle orange has a shifty sunset shimmer (gold/orange/pink) It also has green/orange/red shifty flakies. 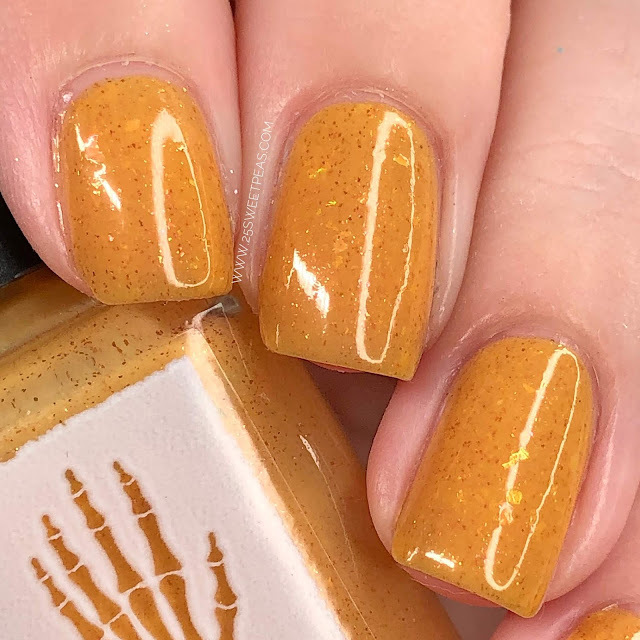 While this is described as a creamsicle orange I feel there is a bit more yellow in it making it more of a mango shade. 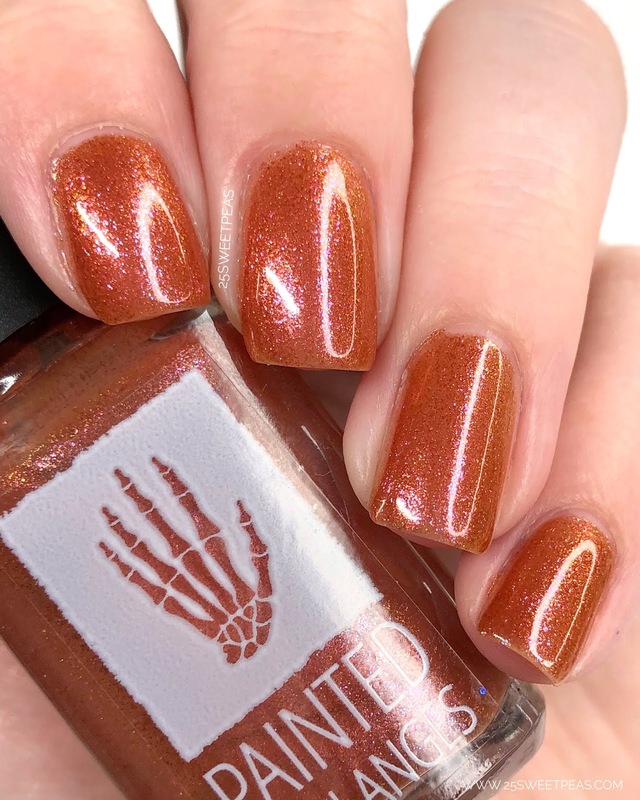 Which I actually really like, definitely a sunset color. 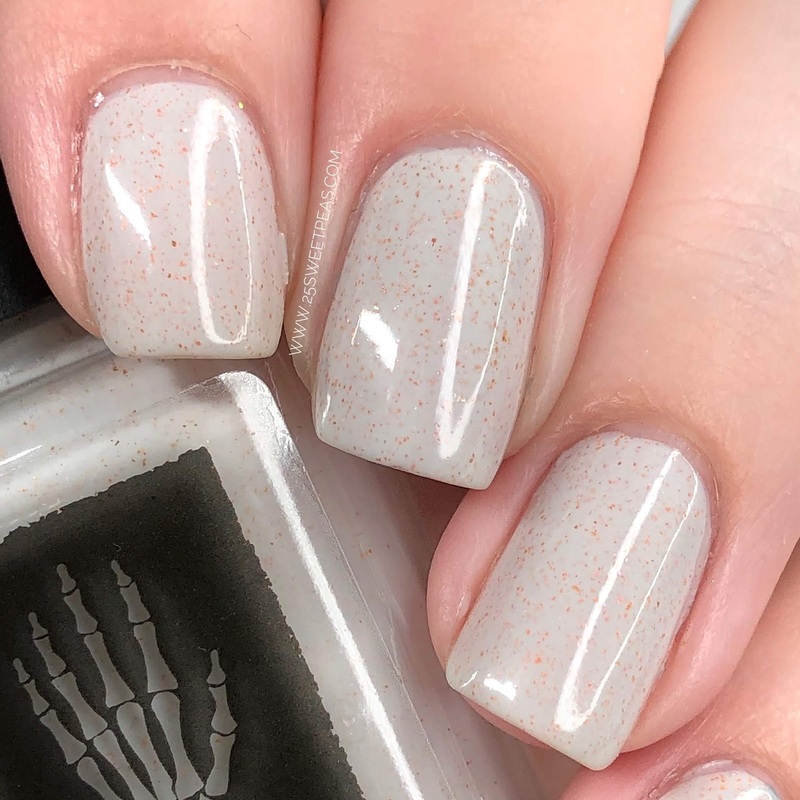 This is close to a jelly but a lil creamy but not quite crelly like so it varies in coats. More often than not you will get full coverage in 2-3 coats. A periwinkle blue with purple/magenta micro flakies, purple/blue micro flakies, purple glitter, and green/gold duo chrome shimmer. Its like the ocean color on an overcast day, or the color of the sky once one sun has completely dropped below the horizon. 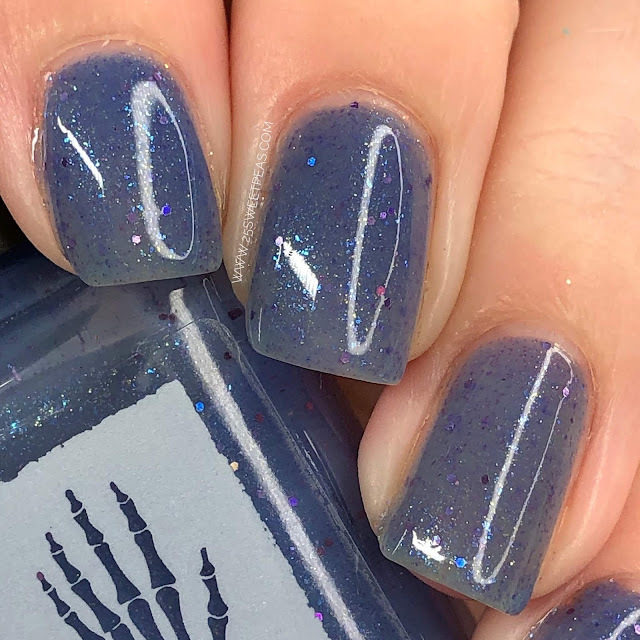 Either way its a really lovely kinda dust blue jelly with sparkles here and there. 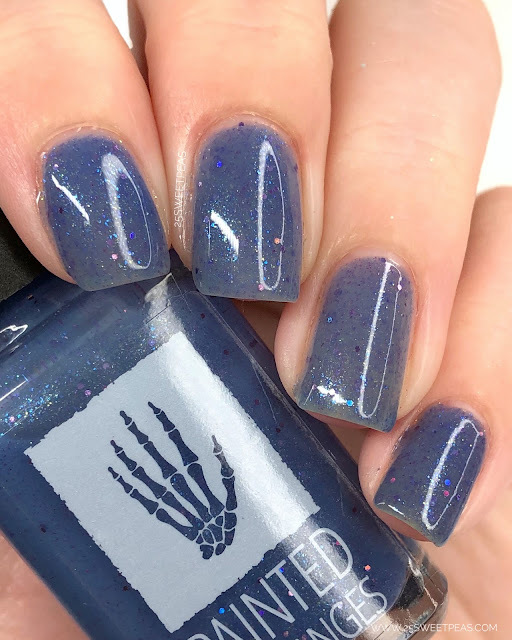 3 coats and its about perfect. If you do super thin coats I might suggest a 4th but I think 3 will do it. This polish has two different multichrome pigments in it. The dominant one is gold/orange/rose and it’s combined with a maroon/plum/blue pigment. 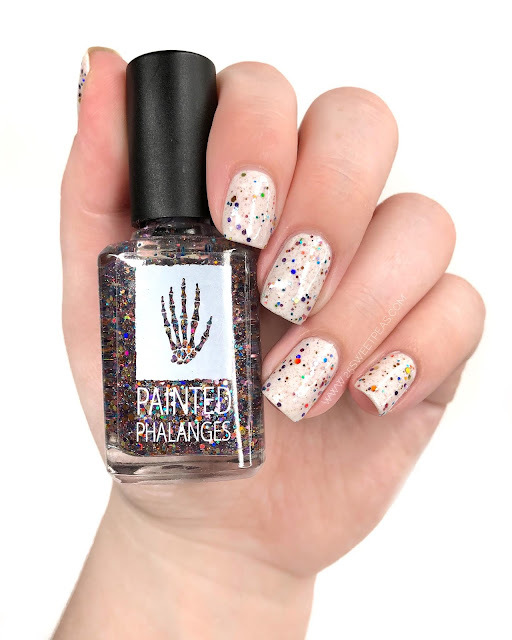 Just so you know the fabulous creator of this polish wanted to clarify that this was named after a drink and not the natural disaster! ;) So you can like the name and it not be disastrous! :) I love how it looks and catches different colors in the light. 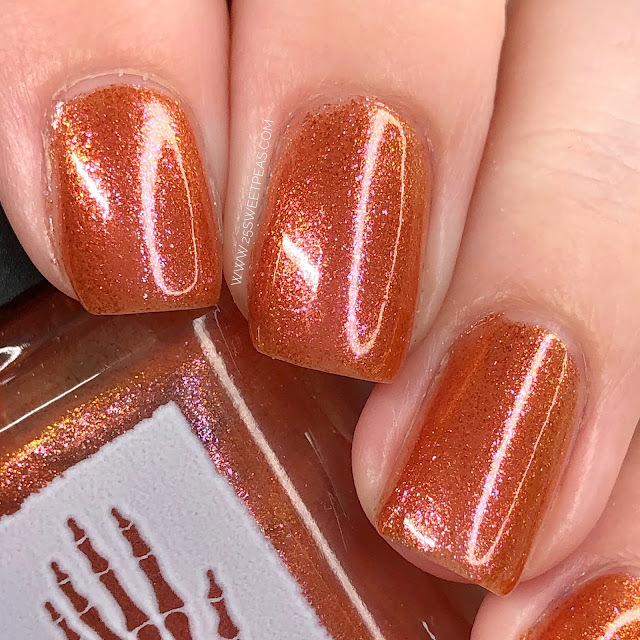 Most certainly picks up sunset colors and is an orange I can really get behind! 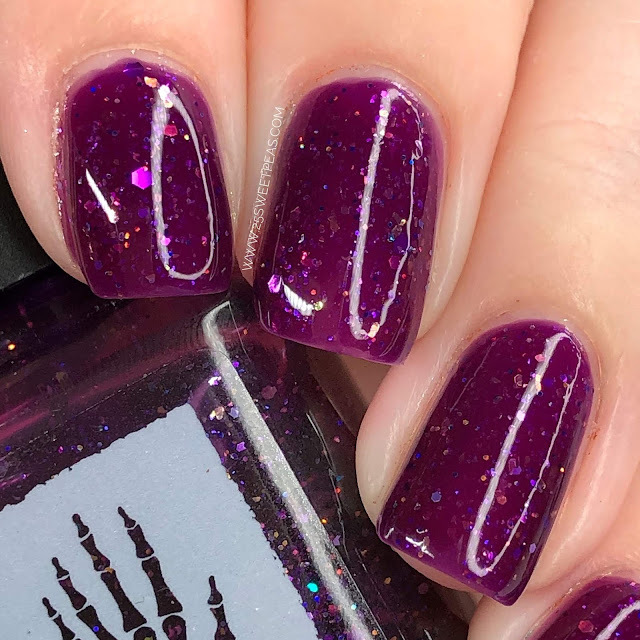 A deep purple jelly with different sizes and shades of purple glitter, gold flakies, gold glitter, golden holo micro glitter, and some lime/gold shifting flakies. 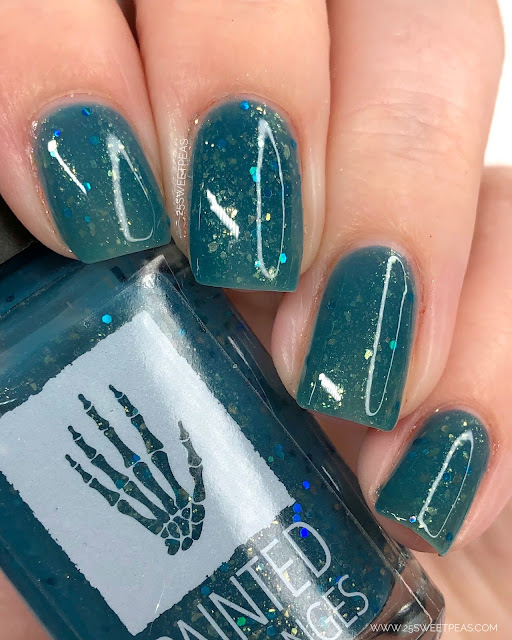 A teal jelly with golden flakies, different shapes of blue glitter, and golden shimmer. Ooo yes! 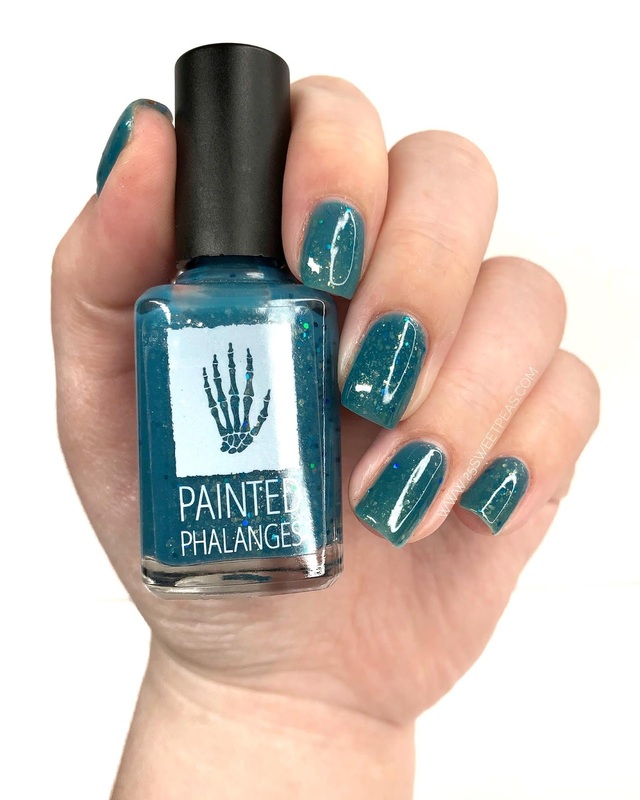 Love this one, a jelly teal with a lovely mixtures of flakies and glitters that sandwich nicely, and create lovely layers giving it a lot of depth! Plus the name is pretty perfect and Beachy so it has my attention. 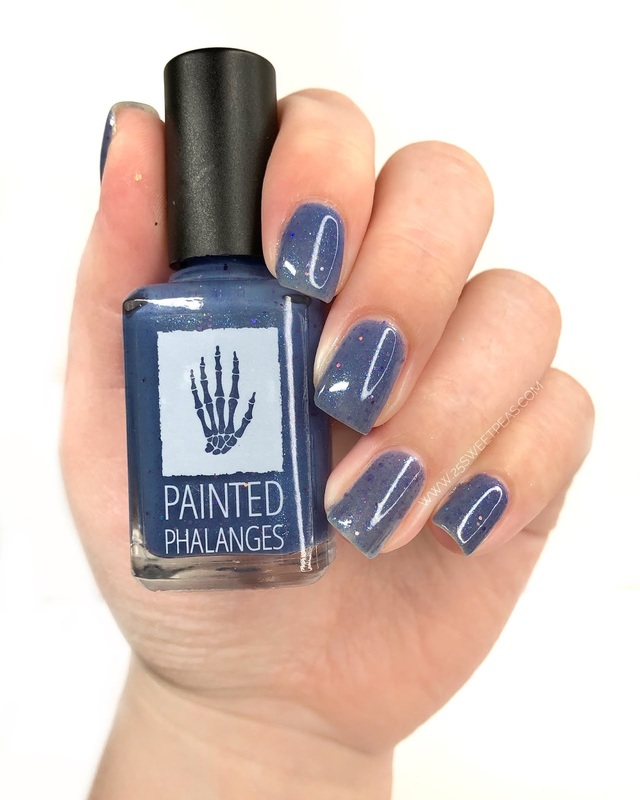 This polish covers nicely in 3 coats. Also before we head out I wanted to let you know about the new Painted Phalanges Cuticle oil that I've been loving! She currently has 3 different scents in the shop as listed below! Chillaxin' - Relaxing blend of coconut milk, lavender, and french vanilla. I have the Chillaxin' Scent and I have been LOVING it! 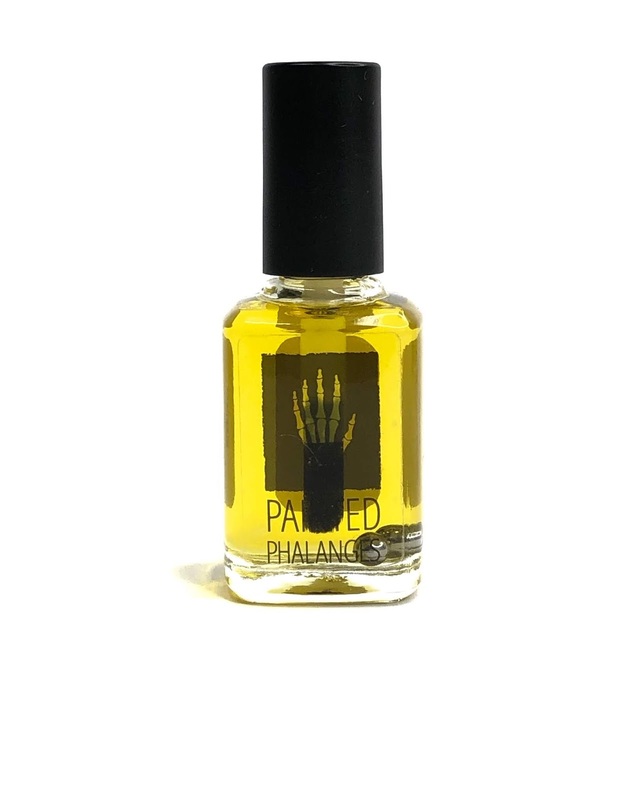 Its a very relaxing scent, great as a night time cuticle oil because its very calming smelling. Plus very hydrating. I've been wearing it nightly, and really love it. 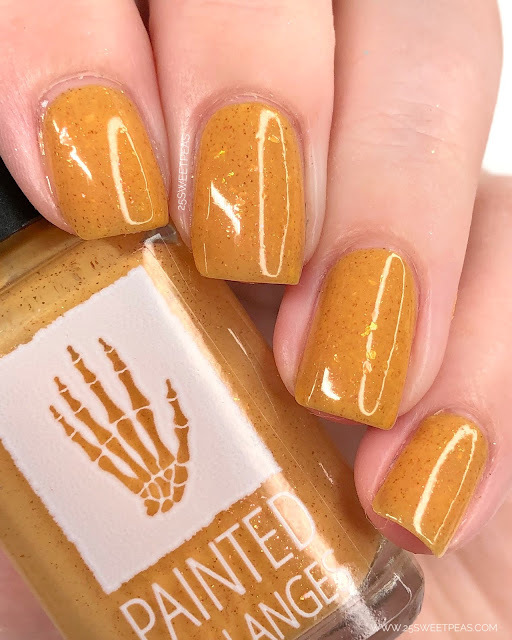 Its a full size nail polish bottle so you get a lot too, and available now for $8. Ok now back to the polish. This collection is releasing on April 17th at 12:01 AM, and will be available for $11 each or $80 for the full collection! Overall I just love the names of these polishes and I think its such a fun collection! What do you think? Do you have a favorite! ?